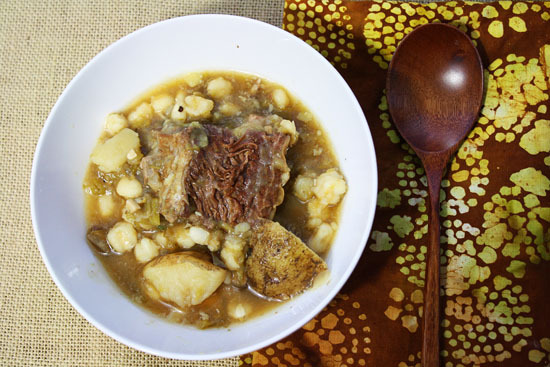 This Hatch chile short rib stew with hominy and potatoes is simple in seasoning, relying on the unique flavor of New Mexico Chiles to flavor the dish. 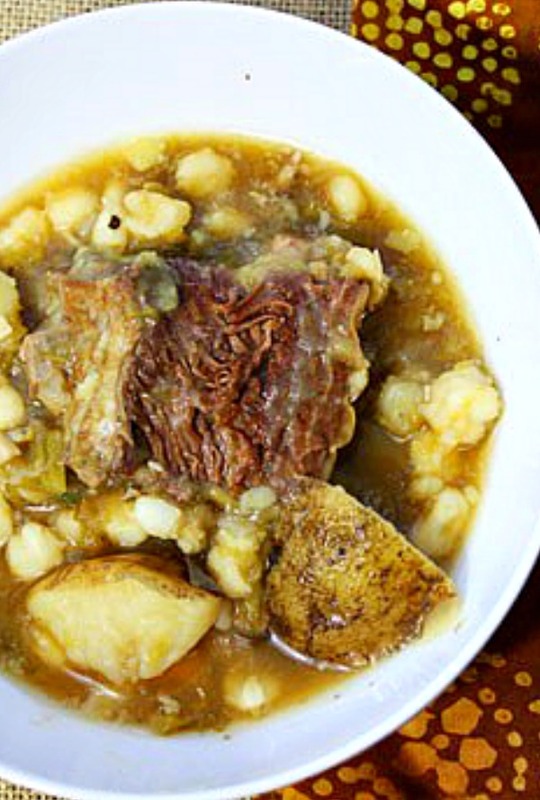 A simple stew of braised short ribs, chewy white hominy and chunks of potato. One of our favorite Hatch green chili recipes for a winter’s night meal. Each Fall, we celebrate the arrival of Hatch Green Chiles. Parking lots and roadside stands fire up their chile roasters with their huge rotating drums and the aromas of New Mexico fill the air. We evangelize and we obsess. We talk constantly about them and we add Hatch green chile to almost everything. We clear out our freezers to make room for as many packages of roasted Hatch Green Chile as we can possibly squeeze in. So if you’re one of those, or if you’re like me and nearing the end of a freezer stash (a very sad day indeed), did you know you could order the real deal delivered to your doorstep? Thanks so much to The Hatch Chile Store for sending me samples of these frozen New Mexico beauties. Let me tell you a little bit about this company. They offer several different varieties of Hatch Chile, each with its own flavor and level of heat. Additionally, you can order their chile either Fresh (Not Roasted) or Frozen (Flame Roasted and Hand Peeled). The Hatch Chile Store is the Berridge family owned operation. They currently farm over 300 acres of prime farmland in the New Mexico Hatch Valley, and have been in the produce business for over 60 years. 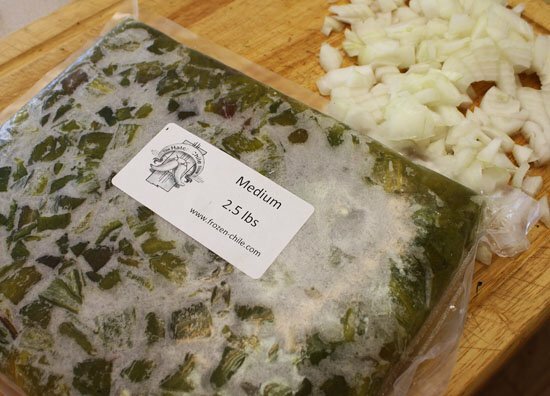 Headquartered in Hatch, New Mexico, ensures that when you buy green chiles from them, you’re getting the very best chile straight from a family farm. The Berridge Farm has served the Santa Fe market for more than fifteen years selling thousands of pounds of fresh hatch green chiles. It’s the real Hatch deal. Yes, those packages are big, so unless you’re feeding an army you’ll only need a small portion of that 2 1/2 pound package for your recipe. Microwave the frozen package for three minutes. This makes the chiles just soft enough to remove for the amount you need. Just pop the rest back into the freezer for your next meal. Perfect. Green chiles made for a delicious Southwestern short rib soup. 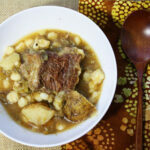 A simple stew of braised short ribs, chewy white hominy and chunks of potato. Perfect for a Winter night’s meal. I hope you give this beef short rib stew recipe a try. And if you do, please come back and let me know how you liked it and give the recipe a star rating. Your feedback is valuable to me for developing future recipes. And if you have a favorite short rib stew recipe, let me know, I’d love to give it a try. Preheat the oven to 300° F. Season the meat with salt and pepper. Heat the oil in a large, ovenproof pot over medium high heat until shimmering. Brown the meat on all sides, working in batches to avoid overcrowding. As the meat is browned, remove and transfer to a bowl or plate until all the meat is done. Reduce the heat to medium-low and add the onions and garlic. Add a pinch of salt to release some of the juices from the onions. Cook 3 to 5 minutes, stirring often and scraping the bottom of the pan with a wooden spoon to dislodge the browned bits. Return the meat to the pan and add the stock and the green chile. Bring the mixture to a simmer, cover the pot with a lid and braise in the oven for 3 hours. Remove the pot from the oven, add the potatoes and return to the oven for another 45 minutes, at which point the meat should be very tender and starting to break down in the broth. Remove from the oven and stir hominy and the oregano. Adjust the seasoning with salt and pepper to taste. Use a ladle to skim off the fat if desired. If making a day ahead: Transfer the stew to another container to cool slightly, then refrigerate. Before reheating, skim off and discard the solid fat cap. Reheat gently and adjust seasoning if desired. Hatch Chile Short Rib Stew …It’s what’s for Dinner. I’m a short rib fan also Eric. Thanks. I used up my last bit of chile last week 🙁 Sad day indeed. This looks perfect for today with our cold and snow. Bet it tastes wonderful with the chiles. 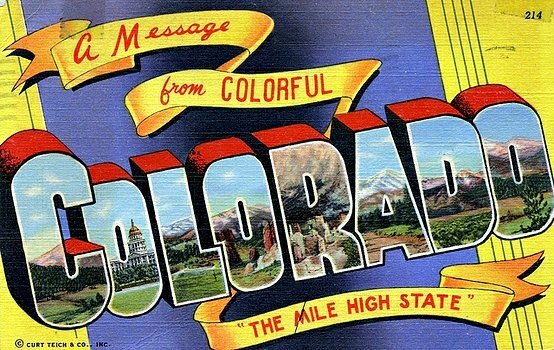 We’re lucky we can buy Hatch Chile so readily here in Colorado. Thank you for this!! I can’t find hatch chiles here, I had no idea you could get them frozen! Fabulous! I didn’t know you could order them either! Great find for some folks. Short ribs, hominy and green chilies says wonderful to me! This looks great. 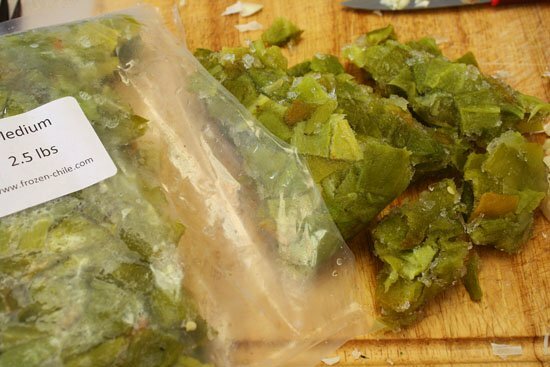 How good to know that we can have hatch chiles year-round with frozen packages delivered right to our homes– perfect! I’m not familiar with Hatch chilies, but love the idea of mail ordering them. What a super looking stew. We’re crazy about hominy…I don’t think it’s used nearly enough. Barbara, you’ve never had a Hatch Chile???? oh my, wish I could fix that and make a nice SW dinner for you. You must have read my mind. I was just about to be another frowny face until I read you can get Hatch chilies delivered to our door. Cool. Great looking stew Lea Ann. You don’t see enough hominey. Wow. My kinda thing. I’m going to have some chiles shipped to me also! 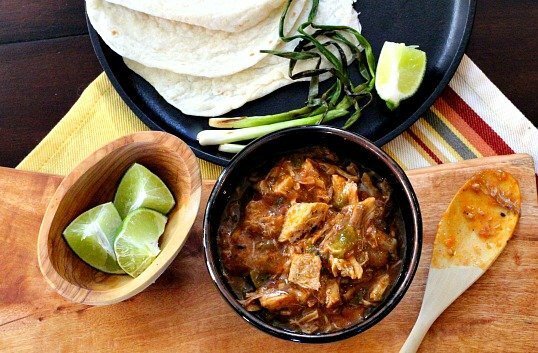 We adore green chili ANYTHING! I love Hatch green chilies. And the dried red Hatch chile powder, too. I can find the green ones in my markets for a brief time every year, thank goodness. So I always buy a bunch, prepare them, then freeze them. Love this stew! I’ll bet the peppers add such nice flavor. I’ve got a supply of the red and the green hatch chile powder. Love having it on hand. Ive been intrigued by Hatch chiles for a long time now but have never made them. This recipe is making me miss the time I spent out West. I am definitely going to have to order some Hatch Chiles on the internet! Thanks for the great recipe Lea Ann. Ps I love the new format of your site- looks great! Thanks for the compliment on my redesign Robyn. I’m pleased with it. You haven’t lived until you’ve had a Hatch chile. Thanks Robyn. You’ll have to come out for a visit next Fall, we’ll load you up with Hatch Chile. This stew looks perfect for this cold Sunday! Aren’t we tired of cold Sundays? C’mon Spring. I love green chilies! I cannot replicate this exactly because I couldn’t find those peppers. But boy this looks good. I can practically smell it! Tanya, any good chile pepper would do. My husband would absolutely love this dish. Just pinned. Thanks for that Pin Cheri. Wow! What a comforting and rich stew! Love the combination of flavors! Thank you so much Erica. And always good to hear from you. Very interesting dish! We love short ribs! I’m also a short rib fan. Thanks to Rick Bayless for a version that I made years ago. I always try to buy enough but it is nice to know how to get them. The stew looks great Leanne, but I might have to try a vegetarian version or even with chicken. But my manservant would be thrilled with short ribs! Thanks Abbe. If you try it let me know how you like it. I just found your site…nice! This stew looks delicious as I am sure it is but I have to confess that I have never heard of a hatch chili. Got to check that out. Welcome and so glad you took the time to comment. Heading over to take a look at your site. You are so lucky to have those chilies available to you! This must be a delightful combination of flavors. I totally understand my fortunate situation of having Hatch chile roasters all over our city. You’ll have to come out for a visit next Fall and we’ll load you up. Short Ribs are one of my fav foods! I love how versatile they are! I agree about those short ribs Heather. Don’t know why I don’t buy them more often. Thank you Kathryn. So glad to hear you’ve got a stash of those wonderful chile’s. And that Oregon is able to get them shipped to the great Northwest. We live on Coeur d Alene Lake in Idaho. Spokane Washington is our nearest town. De Leon Mexican food market in Spokane had two weekends when they were roasting chili’s. I picked up 26 pounds of hot chili’s. 20 lbs for a friend of mine who owns a small restaurant, and 3 lbs each for another foodie friend and myself. The hot chili’s are hot and I love hot. Next time I will get more but get a combo of medium and hot. I used two chili’s thinking that I can add more later. The pot is in the oven now. I first experience green chili stew when I lived in Santa Fe for a ski season. My landlord taught me how to make this stew with pork. I liked your idea with the meaty beef ribs. I think it elevates the dish to something that can be served for dinner guests. I have friends coming this afternoon one of whom is a chef. I will let you know how it turns out. Thanks so much for your message Kelly. And yay that you can find those chiles. I usually get a combo of hot/medium also. They’re a great freezer stash for winter food. Thanks for stopping in. i CAN NOT WAIT TO RECIEVE EVERY COOKIN ON THE RANCH AS YOUR RECIPES ARE SO GREAT, EXPECIALLY THE MEXICAN VERSIONS. BEING FROM ARIZONA & SPENDING TIME IN NEW MEXICO I ALWAYS BRING HOME CHILIS & RED GROUND CHILI POWDER, MY FREEZER IS FULL. SOMETHING ELSE I USE IN THE SAUCES INCLUDING MEATLOAF IS A SMALL CAN OF HERDEZ-SALSA CASERA, I THROW A CAN IN SLOPPY JOES TOO. IT COMES IN RED OR GREEN SAUCE. TRY IT YOU WILL LOVE IT, ALSO GOOD IN DIPS I BUY IT BUY THE DOZEN AS I USE SO MUCH IN COOKING. Thanks so much for your kind words Gloria. I so much appreciate the positive feedback. And you bet, I’ll be trying that Herdez Salsa. Thanks for the tip.